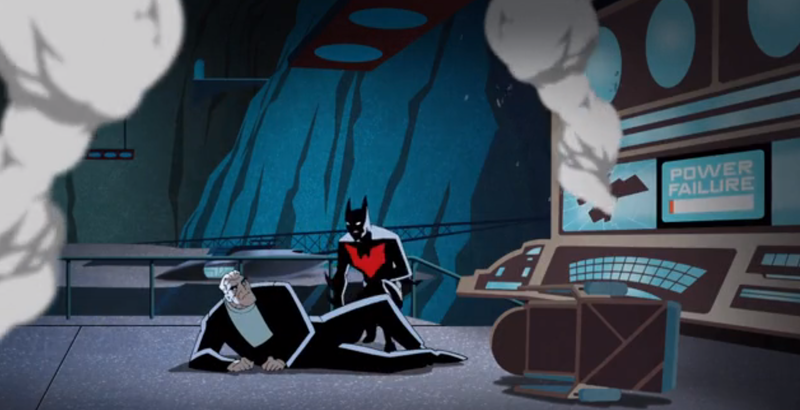 The celebration of Batman’s 75th Anniversary continues; and just like last time, we get another trip down memory lane with one of the most groundbreaking moments in Batman history – Batman Beyond. The year was 1999, and we were given a look into Batman’s future – 40 years to be exact. Long since retired, Bruce Wayne meets Terry McGinnis, a young man who just discovered Wayne’s secret. After his father is murdered, Terry steals the Batsuit in order to get revenge and expose his father’s killer. With intense action sequences, rich story, and a stunning soundtrack, it’s easy to see why Batman Beyond is a story fans have missed dearly ever since it’s mysterious and impromptu cancelation back in 2001. Many rumors/theories were put forward to explain why Warner Bros canceled one of their favorite shows: Bruce Timm starting work on Justice League, changing methods of production, censorship, or financial issues with Warner Bros. Whatever the reason, we may never know. Thankfully, Canadian illustrator Darwyn Cooke took up this Timm classic and made a short special for Anniversary year. Now there are some slight differences – batman’s silhouette, less detailed backgrounds, etc – but Cooke still does do an amazing job. No one can match Bruce Timm – nor would they want to. What Cooke achieves here shows off his own personal style as well as it’s Timm roots. The defining moment of this short is the end where Cooke showcases his version of other animated Batman’s. From The Batman to The Brave And The Bold, he pays a fitting tribute to the entirety of Batman’s animated history. Another tremendous bonus for this short is that Will Friedle (aka Eric Matthews from Boy Meets World) and Kevin Conroy (who has voiced Batman for over 20 years) both reprised their roles as Terry McGinnis and Bruce Wayne respectively. It’s touches such as these that make all the difference in the end. Much like Bruce Timm’s Stranger Days, this short just remind us how much we miss the glory days of animation. Nothing against the recent Batman – or other DC superhero – cartoons, but these past series have stood the test of time and made this genre what it was. It’s great reliving these moments once more, but it also makes you wish these series returned in full as well. April 20, 2014 in Television. Tags: 75th Anniversary, Batman, Batman Beyond, Batman: The Animated Series, Bruce Timm, Warner Bros.